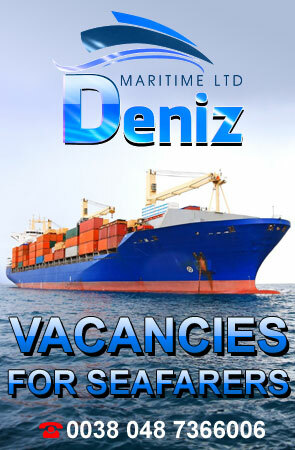 The company “DENIZ MARITIME LTD” was founded to provide services for the selection of highly qualified, educated and experienced Crew members for work on different types of ships. 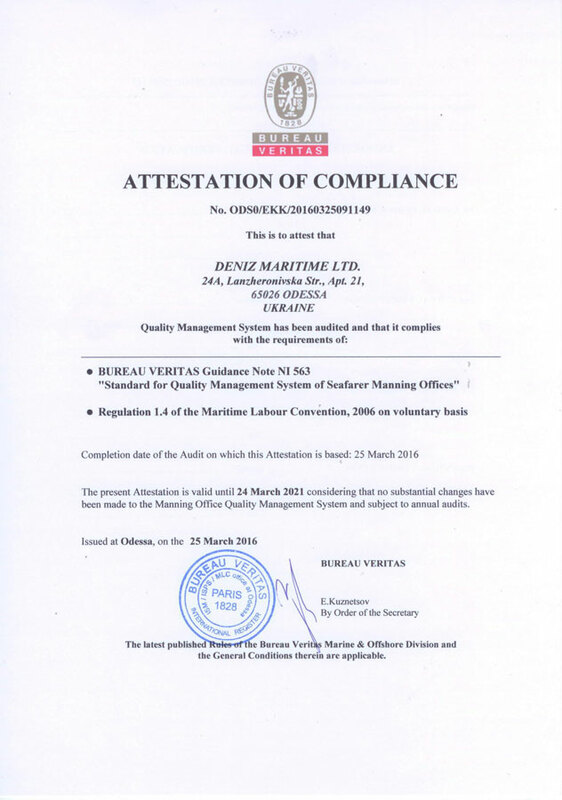 All sailors meet the requirements of STCW’95 complying with all IMO / ISPC / ISM rules and regulations. 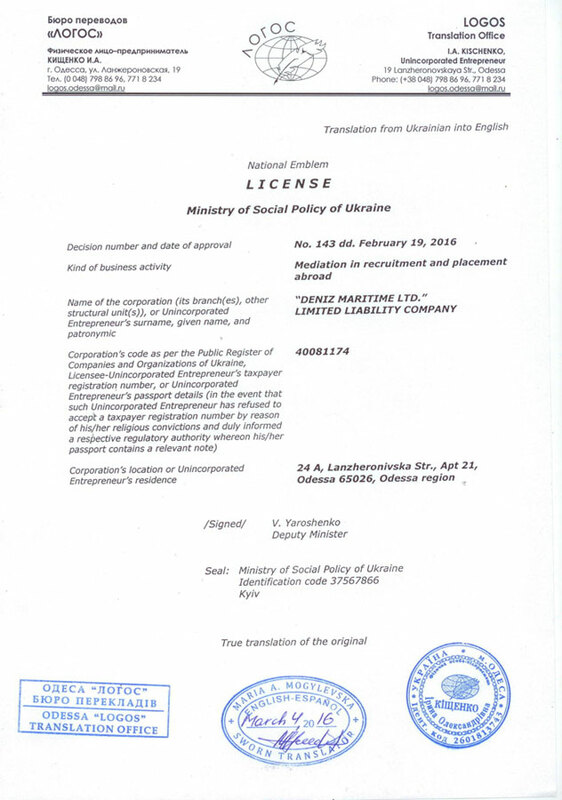 Our company works in accordance with all the requirements of MLC 2006 Certification and adheres to National License requirements. Our team of the highly skilled managers selects the most suitable candidates for different types of the ships such as Bulk carriers, Container vessels, Tankers, Offshore fleet, Passenger ships regarding the inquires of the Shipping Company. We have gathered the best specialists to compete at the labor market. We are interested in the cooperation with You.